After so much speculation and wondering, it finally happened, the financial markets spiraling out of control until the circuit breaker algorithms stepped in, governments collapsing in paroxysms of martial law and riots, the entire banking system failing, the Apocalypse unleashing its Biblical calamities over the entire planet. Eventually the survivors learned to band together in arks, working hard to provide a new prosperity and stability for themselves and their families, providing a new but uneasy peace between neighbors. 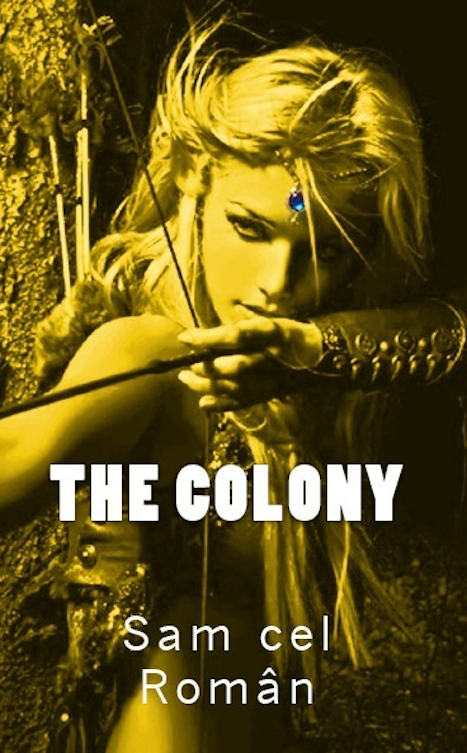 THE COLONY, presenting Stormie Roberts, a young woman who is deadly accurate with the bow. She grew up in the post-Apocalyptic world and now her fellow Initiates are about to take their rites into adulthood. But what Stormie doesn’t know is that the Elder, the legendary founder of the Colony, has a special task in mind for her.